Report Of First Doctor To Treat Lincoln Rediscovered : The Two-Way Dr. Charles A. Leale, 23, was in Ford's Theatre that fateful night. He ran to the president's side. The first thing he ordered for Lincoln was brandy and water. Then he began treating the mortally wounded president. Leale's account had been missing. "When I entered the box the ladies were very much excited. 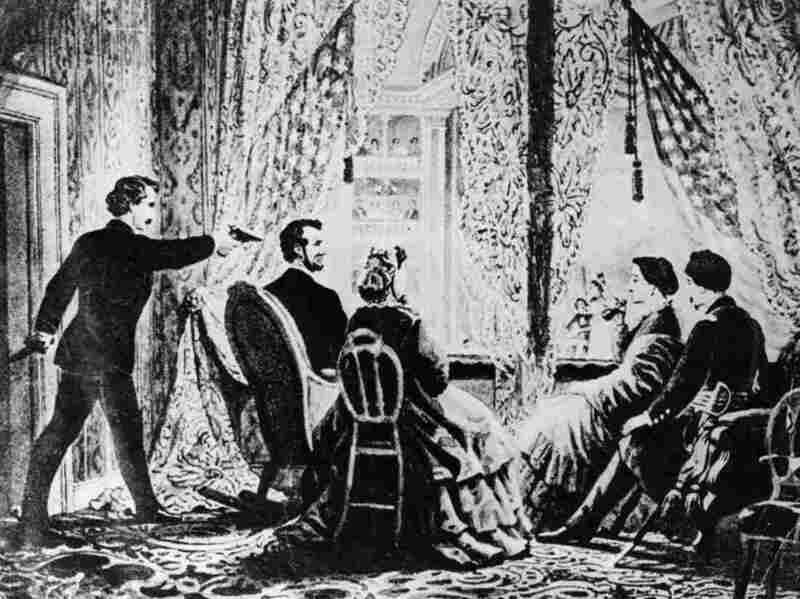 Mr. Lincoln was seated in a high backed arm-chair with his head leaning towards his right side supported by Mrs. Lincoln who was weeping bitterly. Miss Harris was near her left and behind the President. "While approaching the President I sent a gentleman for brandy and another for water." Those are the words of Dr. Charles A. Leale, 23, the first physician to reach Abraham Lincoln's side on April 14, 1865, after assassin John Wilkes Booth shot the president in the head. Leale's long-lost report of what happened that evening, and his actions, are now online thanks to Papers of Abraham Lincoln, a group that has been searching for documents written by, to or about the nation's 16th president. In his account, Leale wrote that he was in the audience at Ford's Theatre that night. "I then heard cries that the 'President had been murdered,' which were followed by those of 'Kill the murderer' 'Shoot him' etc. which came from different parts of the audience. "I immediately ran to the Presidents box and as soon as the door was opened 'O Doctor, do what you can for him, do what you can!' I told her we would do all that we possibly could." Leale began examining Lincoln, quickly discovering the gunshot wound to the president's head. "As soon as I removed my finger," he wrote, "a slight oozing of blood followed and his breathing became more regular and less stertorous. The brandy and water now arrived and a small quantity was placed in his mouth, which passed into his stomach where it was retained." Other physicians arrived moments later. It was then decided to move Lincoln to across the street to the nearest house. From there, Leale's account is mostly one of the physicians' efforts to make the president comfortable and to monitor his breathing. There's no indication they thought there was anything they could do to save Lincoln. "The respirations cease for some time and all eagerly look at their watches until the profound silence is disturbed by a prolonged inspiration, which was soon followed by a sonorous expiration. "The Surgeon General now held his finger to the carotid artery. Col. Crane held his head, Dr Stone who was sitting on the bed, held his left pulse, and his right pulse was held by myself. "At 7.20 A.M. he breathed his last and 'the spirit fled to God who gave it.' "
Leale ends with this: "Immediately after death had taken place, we all bowed and the Rev. Dr. Gurley supplicated to God in behalf of the bereaved family and our afflicted country."